MUSEUM VISITING TIMES - we are happy to welcome visitors whenever we are open, but please bear in mind that events may limit some elements of your visit. General opening times can be seen here. Please get in touch to arrange specific visiting times. landscape. That is like the memory of one's youth." We are currently preparing our full programme for 2019. This will be published later in the Spring. However, events have already started, and these are listed below. 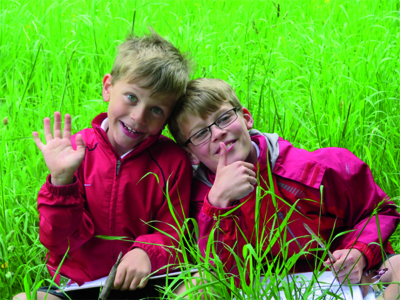 This Spring, our Nature Kids events don't stop! 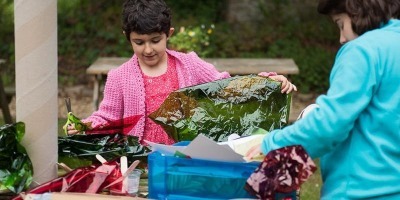 Join us in the lovely gardens of the Richard Jefferies Museum for all-weather creativity and fun. Bring a brolly and wellies in the rain! Up to and including five year olds. Term-time Tuesdays and Thursdays: 10.30am to 12noon (stay on and play afterwards). Join us for this amazing opportunity to learn everything you need to know to produce your very own stone carving by the end of the weekend. 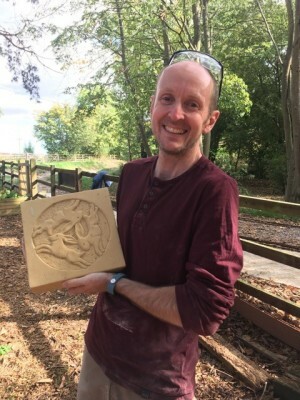 Maya and Wolfy, both professional stone carvers, will teach about the tools, give you a choice of simple but stunning designs to work on, and then guide you through the whole process of producing a beautiful piece of work in lovely limestone. The course is for absolute beginners, as well as those who have done stone carving before, and there is tea, coffee, biscuits and friendly chat throughout. Maximum 10 people. Please wear scruffy clothes. £150 per person for whole weekend. April offers the opportunity for artists to submit work to an new annual exhibition the Richard Jefferies Museum to raise funds for the laying of new paths in the museum to make the site more accessible by wheelchairs and children's buggies. All artists, no matter what medium they work in, are invited to sign up. This year, to mark the launch of this new exciting exhibition the theme that has been chosen is ‘Unfrequented Paths’, after a quote from Jefferies. The final pieces will be selected and curated by Wiltshire artist, Mervyn Grist, and displayed inside the Victorian farmhouse where Richard Jefferies grew up, as well as in the gardens. Artists can submit work for either inside or out, but art for the gardens will need to be mobile to enable it to be brought in when the museum is closed. All entries must show a connection to the theme, and be the artist’s own, original artwork. If selected, the £10 entry fee will include a place in a specially produced catalogue for all artists in the exhibition. 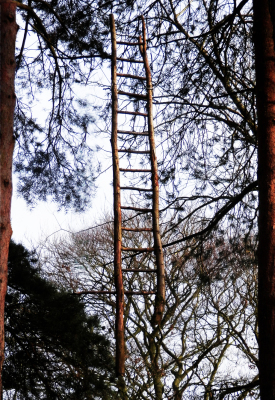 Fugitives in the Garden – art and adventure for the young. A very special Nature Tots event, as part of the Swindon Spring Festival. Take a trip to the Wild Frontier with artist Lucille Moore and feel what it is like to be on the run, or on the hunt. 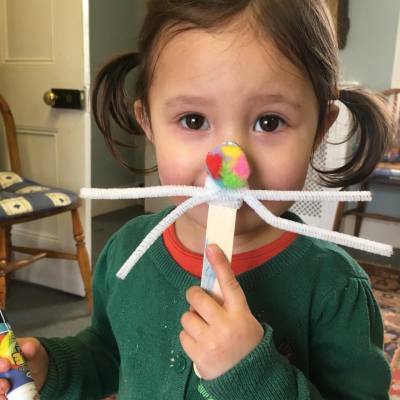 We will be making cardboard characters to hide among the trees, flowers and plants of the rich and varied gardens of the Richard Jefferies Museum. Plus, let your creative talents shine through making wanted posters too. Then we turn into hunters, and together follow the trails to the fugitives’ secret places. Hope Totems - with mixed media artist Jill Carter. Another Swindon Spring Festival event - a day off grid to enjoy creative expression through quirky and engaging folk art. 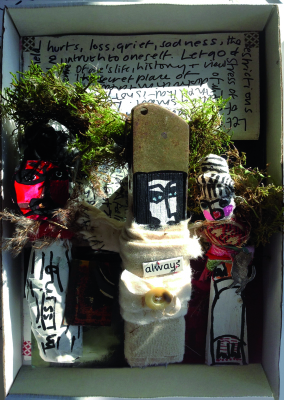 Transform belongings, giftings and gatherings, to create a mixed media hope totem, wish doll and/or offering icon. Enjoy the art of playful, poetic and less than perfect making, inspired by our shared memories, ideas and stories, everyday life events and journeys. 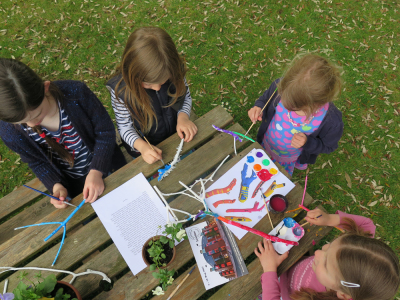 Have fun, both inside and outside in the sanctuary of a Spring garden environ, exploring and finding, wrapping and binding, drawing and writing, painting and stitching, gathering, arranging and placing, to mark and celebrate hopes, dreams and endless possibilities. 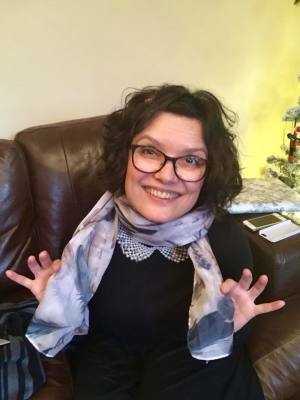 Summer Art Workshops – with artist Marilyn Trew. 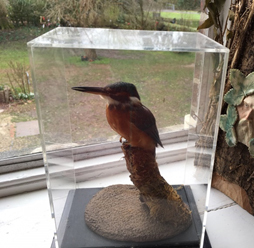 The opportunity to paint gorgeous botanical specimens, recently acquired by the Museum, including a selection of British birds and mammals, such as a heron, otter and kingfisher. 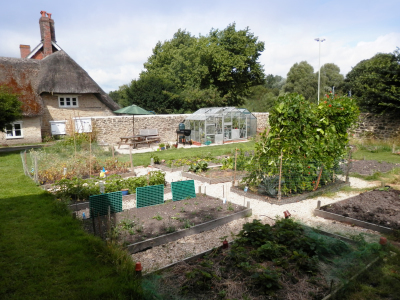 There is also the opportunity to enjoy the grounds, exhibitions and paint in the well-tended garden. Workshops will be tutored by Marilyn Trew, a local artist with a passion for birds and wildlife. Marilyn is a member of the Wildlife Art Society International, and an experienced art tutor. Refreshments will be available throughout the day and please bring a packed lunch to be enjoyed in the cosy kitchen or in the garden. Parking at the Overflow Car Park at Coate Water. An extensive selection of Art materials are supplied, but please bring your own if you wish! There are only10 places available in order to give you the experience of really personal attention throughout the day. 50% of the proceeds from these workshops will go to Richard Jeffries Museum. ​​£40 Per person per workshop. Grown-ups only. Explore and experiment with different art media in a care-free and informal environment with local mixed media artist, Suzie Simmons. Grown-ups only. Materials provided - come dressed for mess. Maximum 12 people. Parent and child workshop exploring and experimenting with different art styles and media in a care-free and informal environment with local mixed media artist, Suzie Simmon. This is a regular session for school age children (KS1 & KS2) children. Materials provided - come dressed for mess.